ICAN Now Has a LOS ANGELES Chapter Near You!!! ICAN of West LA has grown to become ICAN of Los Angeles. Meetings are now being held throughout LA County. The message of support and empowerment can now reach more women than ever. The West LA/Culver City meeting continues to be held monthly. 18 Month Cry Video is launched and thousands watch it within the first week. 3/2013 ICAN of West Los Angeles becomes ICAN of Los Angeles. 10/2012 Satellite meetings have been added for West Hollywood! We're so excited to be able to bring ICAN meetings to so many women who need the camaraderie. Check out their page for more info. 8/2012 Satellite meetings have been scheduled for 2012-2013! We will now have seasonal meetings in Sherman Oaks at BINI Birth!!! Check out their page for more info. 4/2012 April is Cesarean Awareness Month! Read some great blog entries from ICAN. 2/2012 Dr. David Kline, VBAC and natural birth supporter passed away. A Facebook page is up to remember him. 1/2012 St. Johns hospital employs hospitalist to better support VBAC. Torrance Memorial in the South Bay is supporting VBAC! And there is a great quote at the end by our South Bay Representative Patricia Grube! Our own Chapter Leader Chelsea Shure was on Fox! Check out the link! Monthly ICAN of Los Angeles, West Los Angeles/Culver City meeting meets the 1st Sunday of the month from 4pm to 6pm. All meetings include time for an open discussion. All meetings include VBAC support and free advice from local doulas. *Check out the ICAN of Los Angeles website for a calendar of all events in our Satellite Locations - West Hollywood, Sherman Oaks, and Silver Lake. If you would like to get involved with ICAN of West Los Angeles, please consider becoming a subscriber and an active volunteer. As a new chapter, there are MANY places in need of your wisdom and guidance, not to mention your elbow grease. International Cesarean Awareness Network is a 501(c)3 non-profit advocacy and support group. 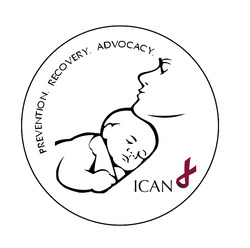 ICAN's mission is to improve maternal and child health by preventing unnecessary cesareans through education, providing support for cesarean recovery, and promoting vaginal birth after cesarean (VBAC).